At the AMA’s interim meeting over the weekend, David Barbe, MD, told group members that AMA is making progress to improve the usability of EHRs, mobile devices and interoperability. 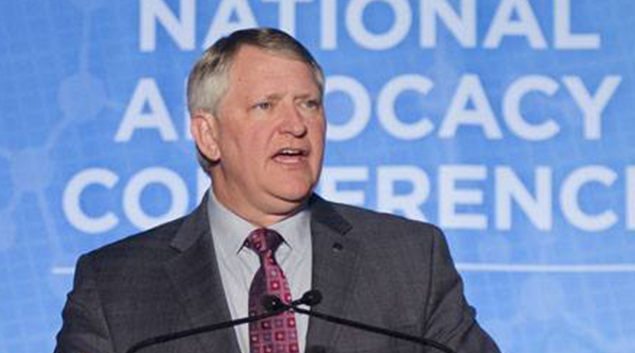 The American Medical Association is fighting to prevent information blocking or to stop vendors from making it expensive for physicians to share data, AMA President David Barbe, MD, said over the weekend at AMA’s interim meeting. Further, AMA is working to improve the usability of EHRs, mobile devices and interoperability. Barbe hailed the group’s regulatory victories, which include work to help physicians avoid penalties under Medicare’s payment program, if the provider reports one quality measure on one patient for one year. He also highlighted the group’s efforts on improving provider satisfaction. The weekend’s meeting “recapped an aggressive year of advocacy and accomplishment, highlighting significant victories that protect patients and physicians, with the primary goal of improving the health of the nation,” Barbe wrote on the company’s blog. Barbe also highlighted AMA’s dedication to “protect insurance coverage gains on behalf of millions of Americans.” He specifically pointed to AMA’s successful work to prevent the massive mergers of Aetna and Humana, along with Anthem and Cigna. “While it’s impossible to predict where the debate will go from here, our steadfast commitment to putting patients first and our unwillingness to be drawn into the partisan quagmire will continue to reassure the public that the AMA -- as the house of medicine -- is a voice of reason in Washington,” he added.